Mark Bryan is a graduate of Michigan State with a degree in Horticulture and Landscape Design. 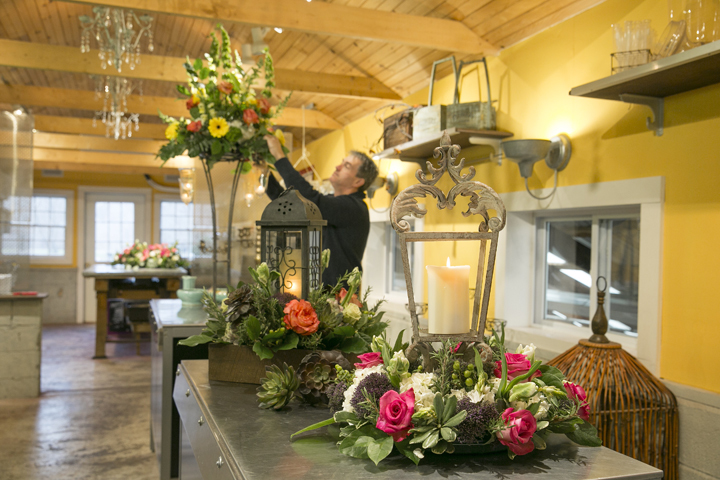 With over 25 years of experience, Mark excels at floral design for any style of event. Discriminating brides and event planners consistently refer clients to Mark, who is known for his creative vision and attention to detail. Mark’s landscape design and installation work includes impressive hardscaping and natural gardens. He works with a select team of trained and insured professionals to assure each client of the highest quality work. Stop in his retail shop, located on six acres of lush Bucks County gardens, for unique gifts and treasures for the home.